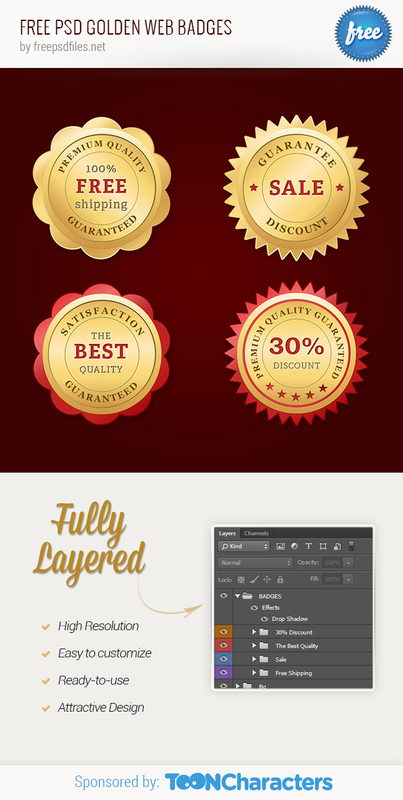 Golden Free Psd Badges are designed with a simple, yet glamorous style. They’re suitable for a wide range of uses, could be placed on a website template, flyer, poster, price tags and many others. 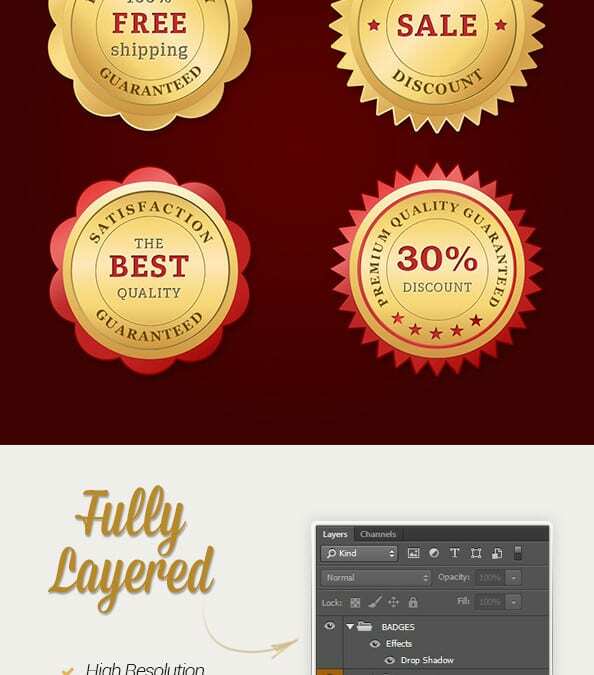 The psd file contains of 4 different badges which you can customize and change the colors and adjust the effects according to your liking with ease. 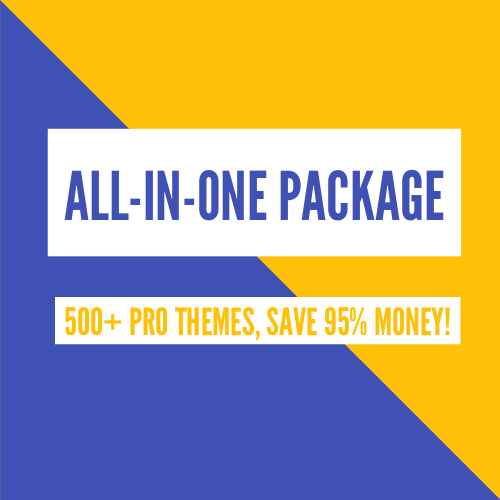 Check them out and download the freebies!